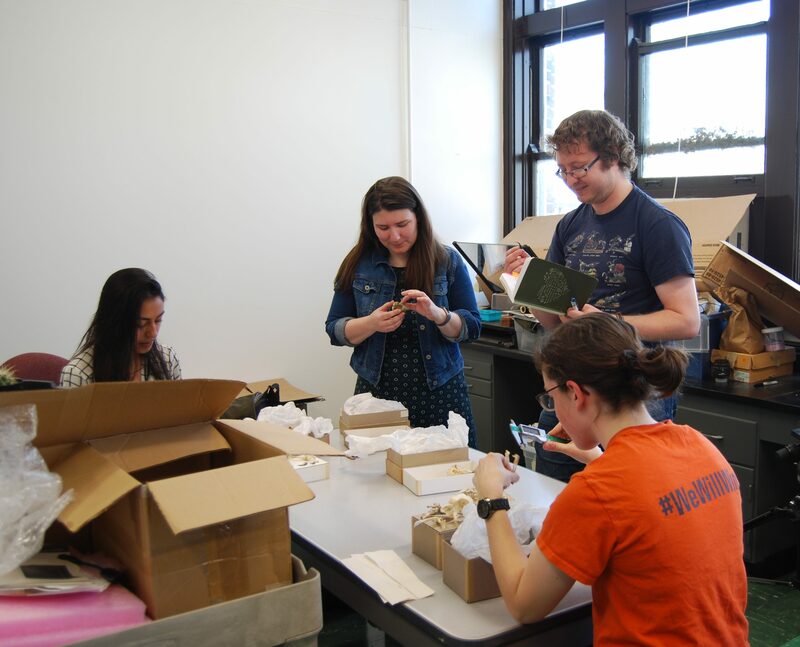 Anderson Evolutionary Biomechanics Lab – Integrating biology, paleontology and engineering to understand biodiversity. We are a team of evolutionary biomechanists and paleontologists exploring the evolution of functional systems at multiple scales. Our research utilizes a range of experimental, theoretical and analytical methods from biology, paleontology and engineering to address a variety of questions. At the core of our work is the idea that the fundamental laws of physics have influenced evolutionary processes over the last billion years and we can learn a great deal about modern biodiversity by exploring the relationship between physics and biology. We are located on the Urbana-Champaign campus of the University of Illinois. Analyzing the biomechanics of puncture in a variety of organisms including vertebrates, invertebrates and plants. Exploring mechanical sensitivity in multi-part biomechanical systems at both the mechanism and evolutionary scales. Comparing strike kinematics and mechanisms across insects. Cataloguing the potential mechanical function of fossil agnathans (jawless vertebrates) during their rise and fall in the Paleozoic. Investigating the how material properties and structure affect feeding mechanics in amphibians. Graduate students: While I am not actively seeking graduate students at this time, I am happy to discuss the possibility with prospective students whose interests fit the lab. I currently advise students through the Department of Animal Biology. The department website has details for applying to graduate school. Application deadlines are in December. Undergraduate students: Students interested in potential research experience should contact me to set-up a time to chat about possibilities. I advise undergraduate research for credit through two courses IB390 and IB490.